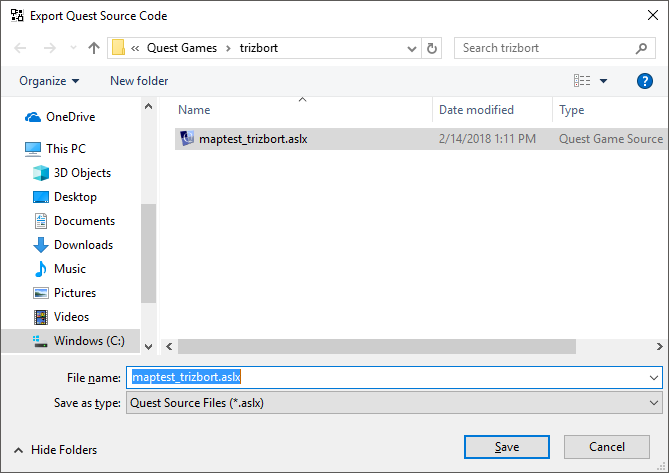 The Pixie said: "The next version of Trizbort should have a Quest export function, so you can export your map into a new Quest game." 1. 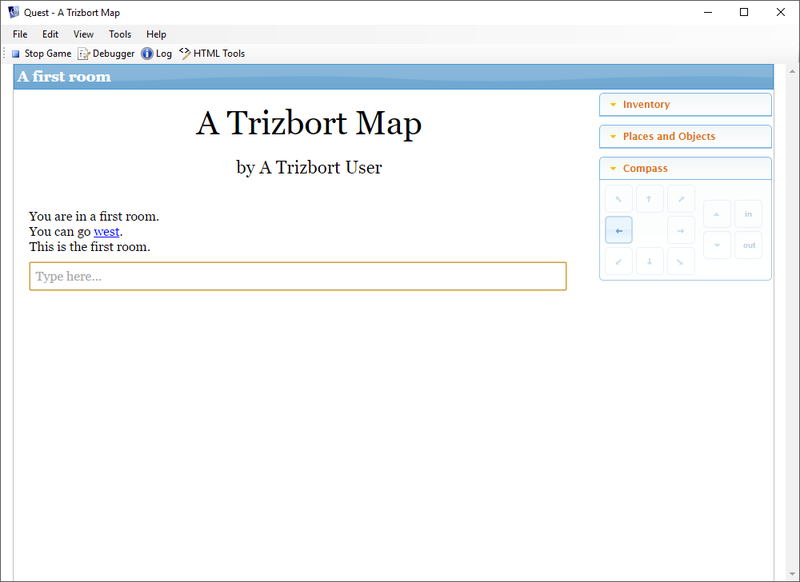 Clone the current Trizbort repo from GitHub. 2. 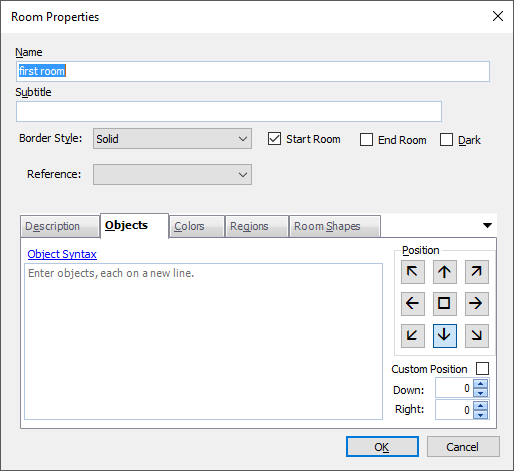 Open Trizbort.sln with Visual Studio 2017. I made a two-room map. 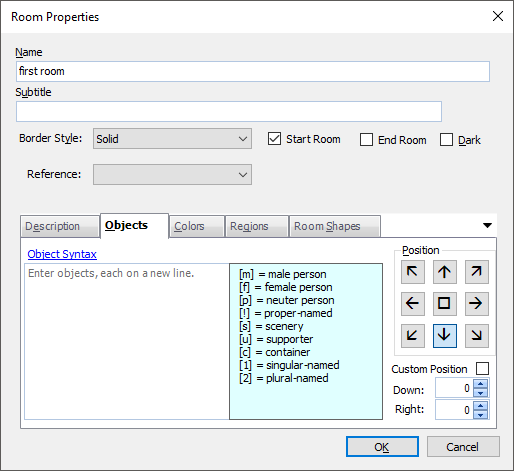 I marked one of the rooms as the "Start Room" (which automatically created the player object in that room). I added an exit between the rooms on the map. I added a lamp object to the second room (just for kicks). 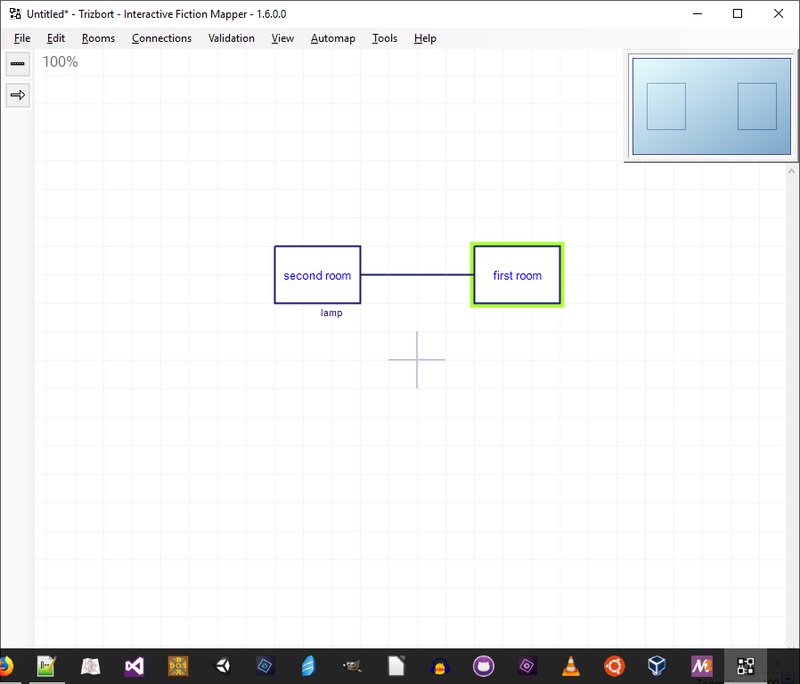 NOTE: I only named them "first room" and "second room" for testing purposes (and due to lack of creativity). Is there a way to set "take" to true? What does that mean? Have object takeable? Trizbort does not have a flag for that, so I did not include it. 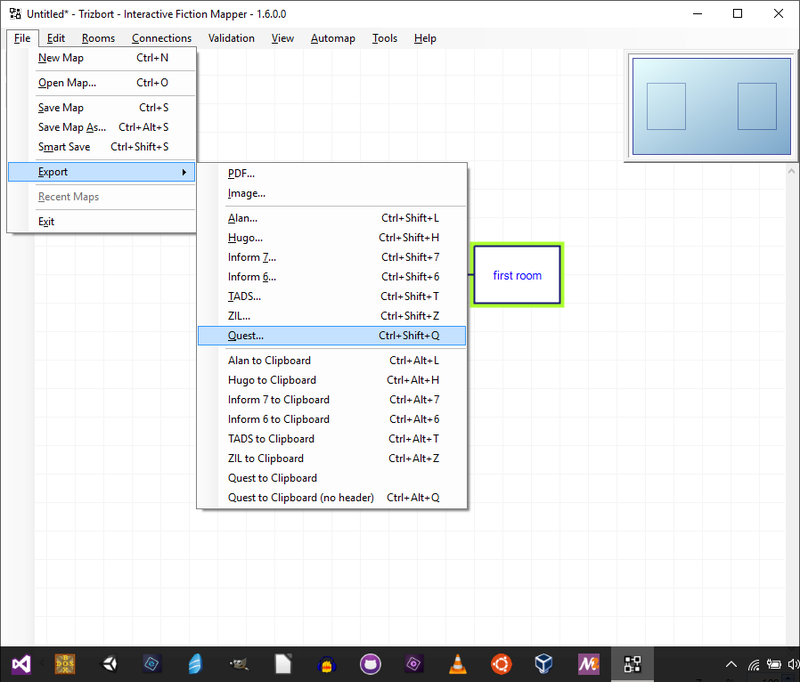 Quest export does support m, f, !, s, s and 2 (with 1 by default). What does that mean? Have object takeable? It's not like the game doesn't require a little editing after an export anyway. I was really just making sure I wasn't missing something. I'm not complaining or nitpicking, you see. I'm making games (or at least worlds) with it right now. 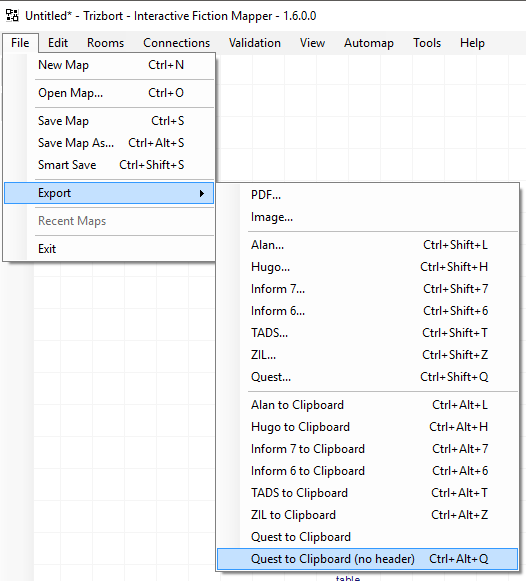 You can export/copy Quest code to your clipboard with no header and paste that into a library element! You can also put it into your existing game file in full code view, just paste it in above the last line "". I have added a blog entry about this.